Small thing, but does it bother anyone else how most of the craftable light armors look like they're more suited to a warrior playstyle than an assassin playstyle? IMHO the only one that looks like something an assassin would wear is the Leather armor. Also, why do you think that is? I've always seen light armour as basically heavy armour, but a bit lighter -- still offers defence, but mobility too. The sort of thing skirmishers and reconnaissance patrols wear, or warriors who aren't in large-scale combat. In contrast, heavy armour is full battlefield armour; definitely not the sort of thing you'd wear while out shopping. Assassins would go for specialised assassin armour (Brotherhood robes look pretty good for that) for the actual contracts, I'd think; otherwise, they'd wear light armour. It is true, though, that most light armour sets don't look particularly sneaky - probably so you can wear them without being "restricted" to a certain combat method. Also, on a somewhat-related topic, some types of heavy armor looks pretty light. Take Falmer armor for example. This is heavy armor? He's practically naked! Fair point. Ever seen the dragonscale armor? The light armor set looks heavier than Glass armor! Then again, it is made from dragon scales... But on another note, who would make LIGHT ARMOR from DRAGON HIDE?! Nox hi! Zu'u irkbaan kun qah ahk! When I use light armour, I usually use leather, hide, or maybe scaled for the whole game until I can craft dragonscale, that's how immersion-breaking the glass and Elven armour is for me. Glass armor looks like heavy armor. 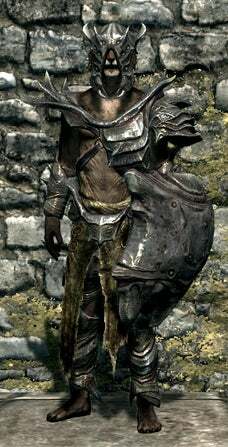 But, in ESO it goes like this Heavy Armor (regular Skyrim heavy armor), Medium armor (light armor in Skyrim) and Light armor (robes). December 17, 2015 I think a lot of guild armor is light. 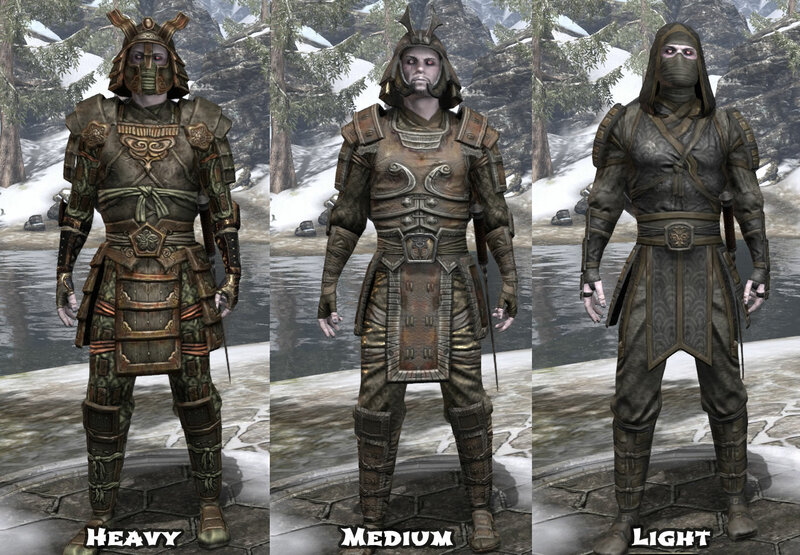 For example, Theives guild, nightingale, and dark brotherhood all have fairly light-looking armors. I think a lot of guild armor is light. For example, Theives guild, nightingale, and dark brotherhood all have fairly light-looking armors. Oh yeah. I can agree with that. I was a bit diappointed the Companions only had that Wolf Armor. It wasn't even good, and didn't stand out from other heavy armor sets.